Winter is coming and adopting proper skin care is essential because your skin does not always have the same needs and above all it is not always stressed in the same way. External stressors vary with the seasons, so it is INDISPENSABLE to change the way you take care of your skin. During winter, the skin is subjected to stress caused not only by the cold and the smog, but also by the dry air coming from the heating systems and the reduced exposure to the sun. So, how do you behave? "Clean thoroughly and suitable to your skin type, take specific treatments for hydration and nourishment needs." This is actually a fixed point that applies to all seasons, but for the winter it is even more important to be aware of it because it is the season in which the skin is more stressed. 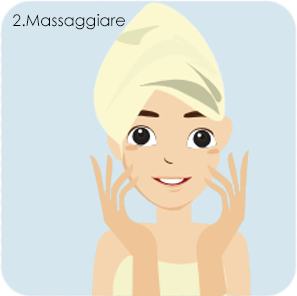 "At the end of the daily skin care routine, the skin should not pull, it should not be greasy, it should not be inflamed.You should try the so-called comfort sensation.If you also add a 360 ° sensory experience, you will feel like you were just come out of a Spa"
Bad cleansing is often the main source of many dermatological problems, especially mixed or impure skin. So how do you perform a good cleansing of your face? You need to know your skin well and find the right balance. For oily skins with impurities the best thing is to proceed by affinity using an oil-based detergent (milk or cream) that dissolves the oily part to be gently removed with a disk. 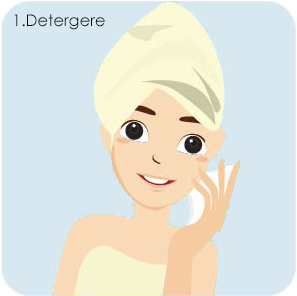 A little advice: do not neglect the possibility of applying a foaming detergent (micellar aqua or face soap), it will help you to drag the oily part dissolved by the cleansing milk. For all other types of skin the best thing is to proceed by contrast with a specific foaming detergent (micellar water or face soap). A little advice: if the skin pulls or is particularly sensitive / irritated, use a cleansing cream before the cleaning product helps to obtain a more delicate effect. Cell renewal processes are the natural engine of skin that rejuvenates it and makes it bright and healthy. The skin ages and appears gray when the turnover slows down and impurities accumulate. Exfoliation is useful for stimulating these processes and for removing dead cells, excess sebum and residues of smog and make-up. During winter it is even more useful because the low exposure to sunlight and cold determine a slower cell turnover and the skin must be stimulated to regenerate naturally with an effective but gentle exfoliation and with purifying and restorative treatment. 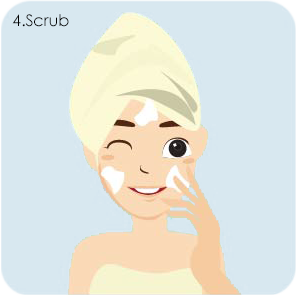 A scrub is recommended every 15 days alternating with a mask. After cleansing and exfoliating, the skin is ready and receptive to receive hydration and nourishment. As we said at the beginning, the needs of each type of skin are different and it is not enough to know that you have a "normal", "mixed", "oily" skin, etc. because not all the skins are the same and above all with the passage of time the needs change. Your normal skin does not have the same needs as your friend's normal skin: try and experiment with new products until you find the right one for you; and if you notice that the skin is changing, experiment again. A good suggestion is to always have two specific types of creams to alternate between morning and evening. Makeup is a precious ally against damage that external stress (stress factors) can cause to your skin.It acts as a "physical" barrier for smog and other impurities and protects against dehydration caused by the dry air of heating systems and temperature changes. If you need help to define your proper skincare routine or if you only need some advice, write to our customer care and get in touch with yours " Personal Beauty Assistant ". A professional who will become your personal consultant and will learn all about your skin needs.